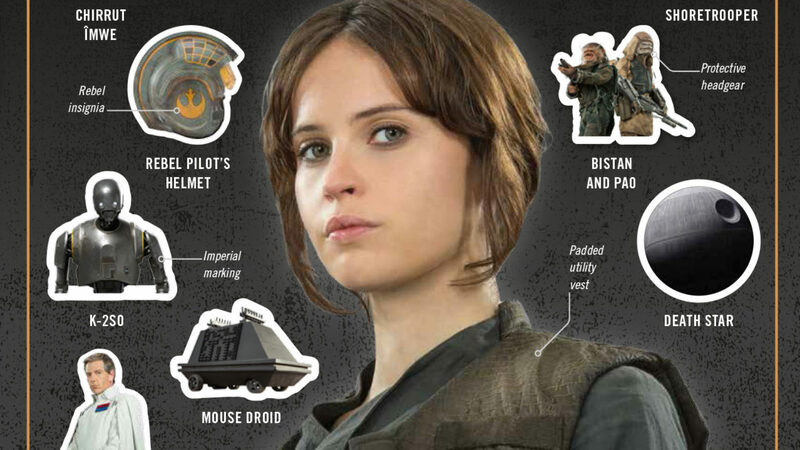 On December 16, you can rebel...with stickers! 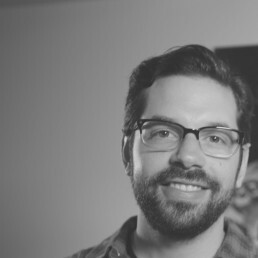 Editor Samantha Holland takes StarWars.com behind the scenes of DK Publishing's upcoming book. We love Star Wars sticker books. We love Star Wars encyclopedias. It may have once been thought that combining the two would be impossible… But finally, we have the technology. 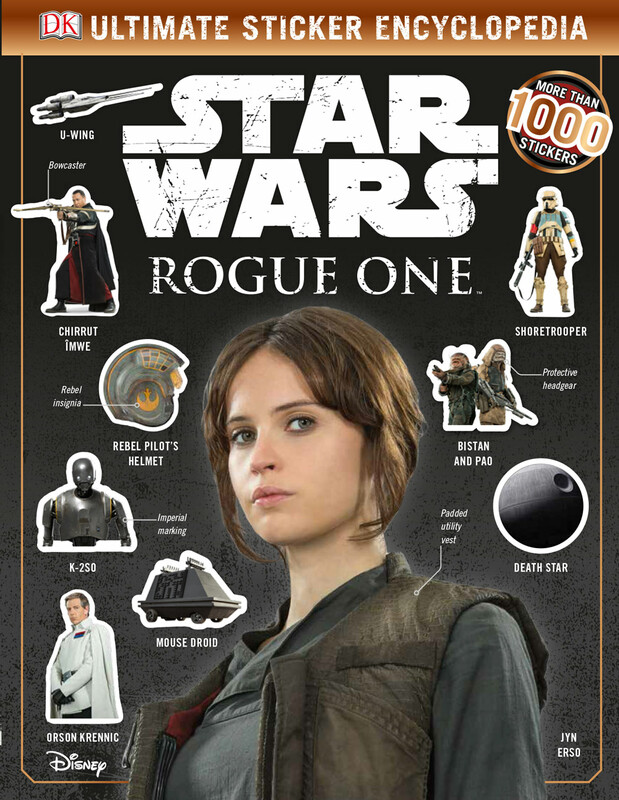 Unlearn what you have learned and get ready for Star Wars: Rogue One: Ultimate Sticker Encyclopedia, coming December 16 from DK Publishing, and available now for pre-order. It is truly the best of both worlds: a book filled with insightful character bios, weaponry details, and vehicle info, along with Awesome Stickers. (And you can never have enough Bistan or Pao stickers.) 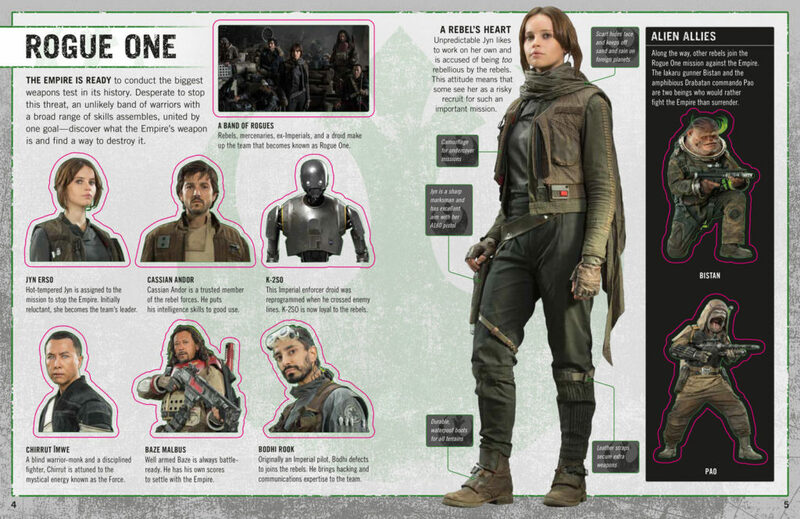 StarWars.com has a special preview of two spreads from Star Wars: Rogue One: Ultimate Sticker Encyclopedia, and caught up with editor Samantha Holland over e-mail to find out how the guide was created. 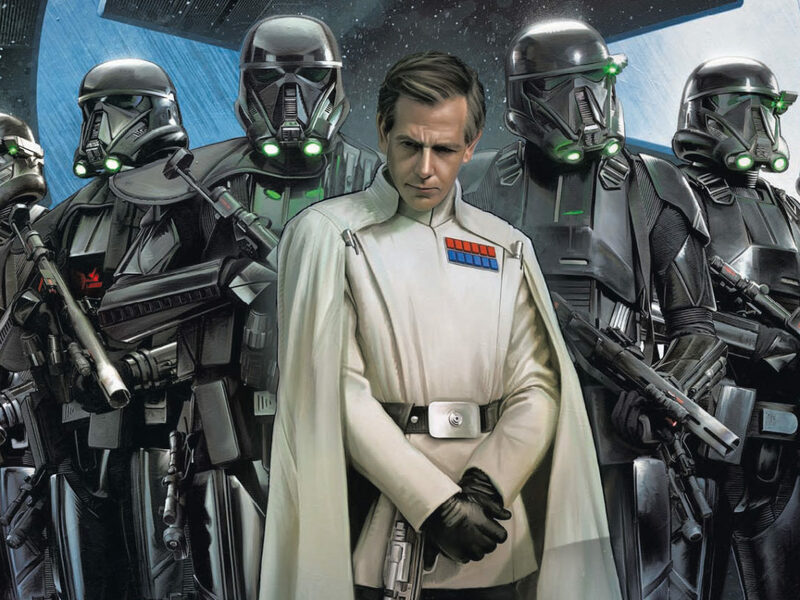 StarWars.com: From start to finish, what was the process for making the book? I’d imagine that balancing copy with images that need to be removable can be tricky. Samantha Holland: It was tricky, but a lot of fun. This sticker book is very different from ones we’ve done in the past. We had to take into account the content of the film to make sure that it matched the film, was age-appropriate, and really cool! The design is advanced and gritty. It matches the tone of the film really well. More goes into these books than people realize. The process began with the folks at DK coming to Lucasfilm for an overview of the new movie. From there we began picking images and creating a layout for what we wanted the book to look like. The great thing about this book is that it is more encyclopedic in nature so the stickers balance really well with the informational text. It’ll be a great companion piece to the film. After layouts and image selections were approved, Owen Bennett at DK began designing the book and creating these wonderful spreads you see. Then Emma Grange and Shari Last, the DK editors and authors of the book, filled in the details on the different characters, weapons, and vehicles throughout the film. Once all that was completed, the stickers had to be cut out (which is incredibly time-consuming) and then the book was sent off to print after all approvals were complete. 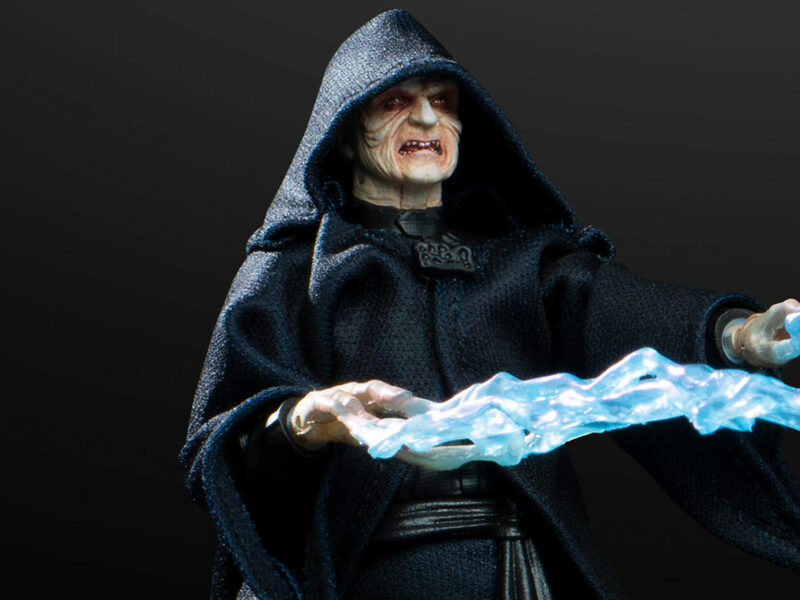 StarWars.com: What about your role as editor — what did that entail, and what were you looking for in the finished product? Samantha Holland: On this book, my role as an editor was to help facilitate the delivery of assets from our team to DK, as well as providing as much information as possible for the book’s content. I also helped guide the book’s design and tone so we could stay true to the tone of the film. We really wanted something different for this book and I think we achieved it. 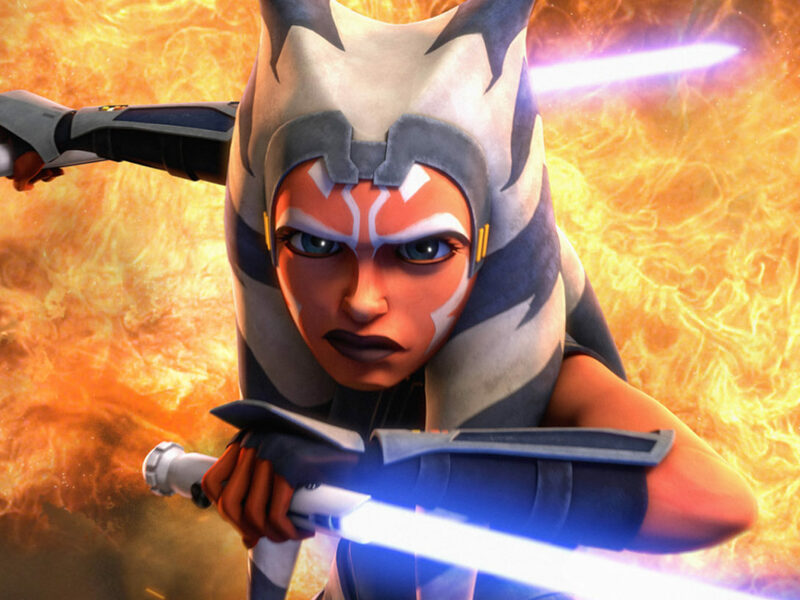 It’s a book that is fun for a younger audience, but that was also great for adult Star Wars fans excited about the film — there really is something for everyone in this book. It’s incredibly informative and the stickers look fantastic! 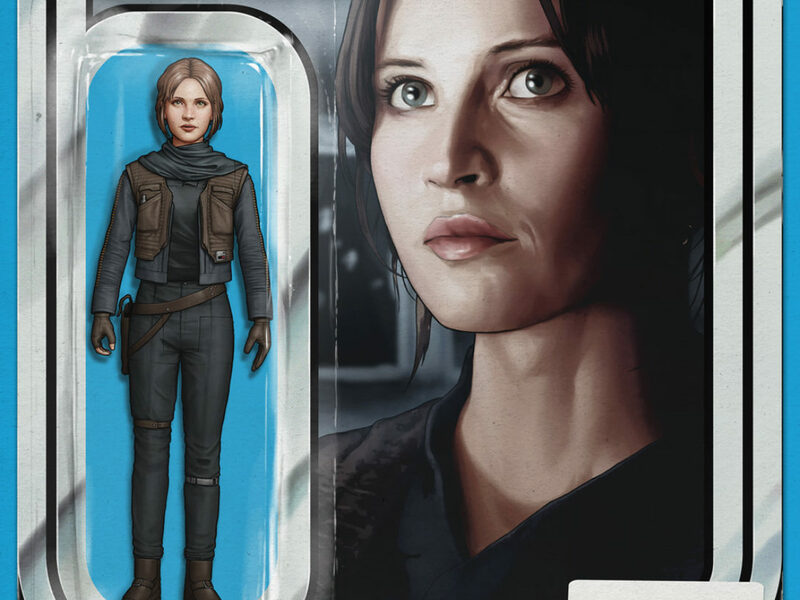 StarWars.com: How did you decide on the scale of stickers, and which characters would ultimately be featured? Samantha Holland: The scale of the stickers is based on the standard size that DK normally does for these kinds of books. We did want to feature as many elements from the film to make this book as accurate as possible. 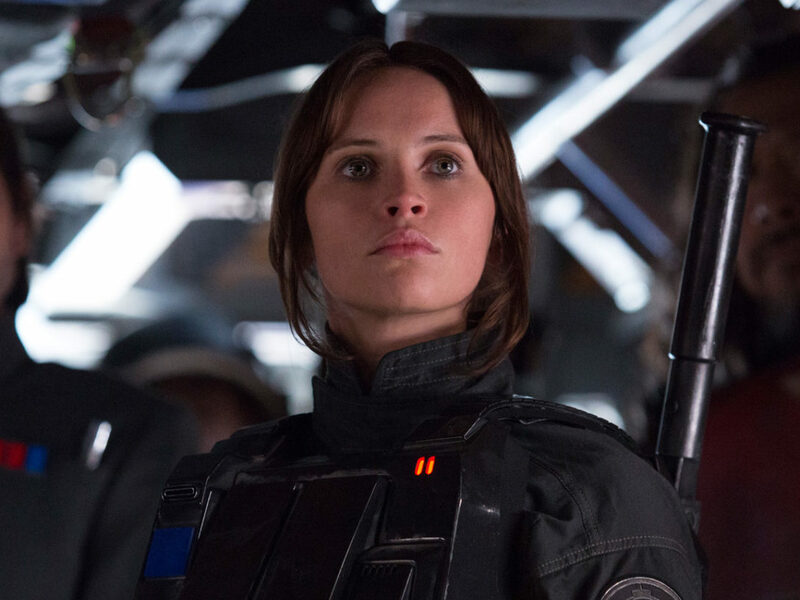 We want readers to use it as their go-to guide for Rogue One. 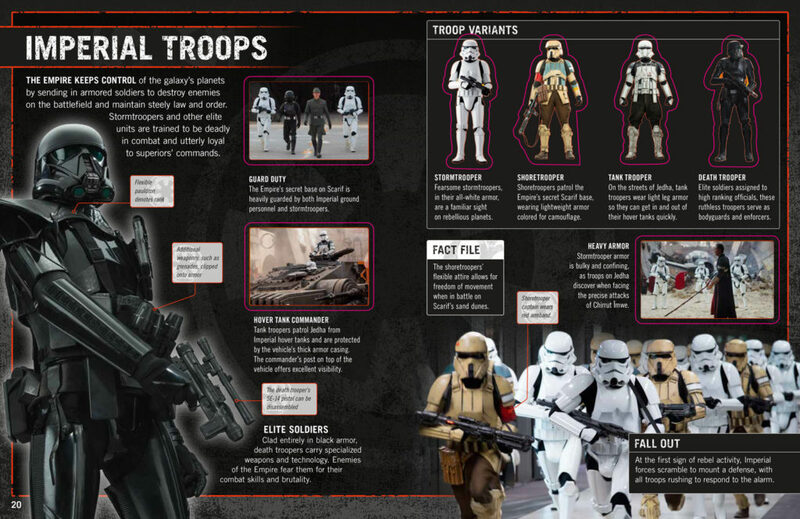 StarWars.com: Based on these preview spreads, there’s actually a lot of information in here on the characters and their gear. How did the writers accomplish this well in advance of the movie? Samantha Holland: Emma Grange and Shari Last did a great job writing this book. It’s incredibly detailed and fact-based so we had to gather a lot of information from them as the film was being made. 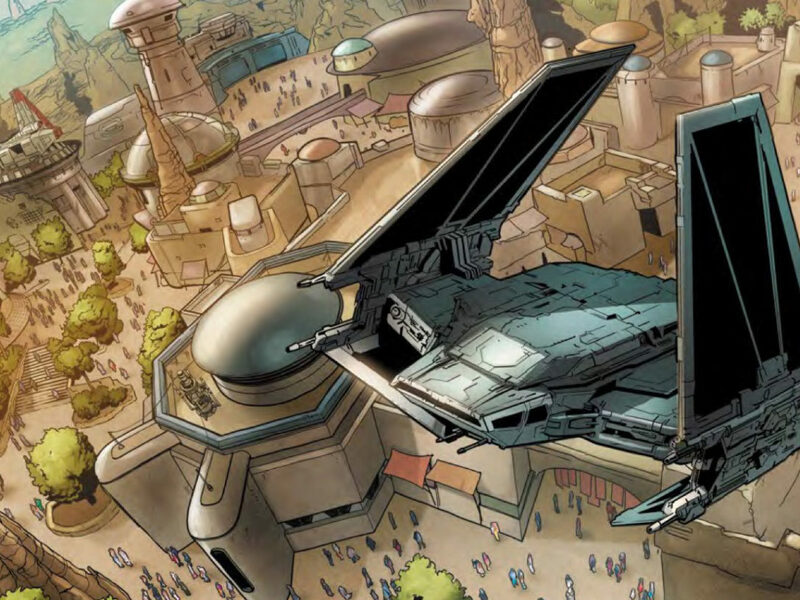 Lucasfilm’s own Pablo Hidalgo, author of the Star Wars: Rogue One: Ultimate Visual Guide helped us out a lot on that as well — providing details about certain characters and vehicles that were top secret. It really was a collaborative effort! 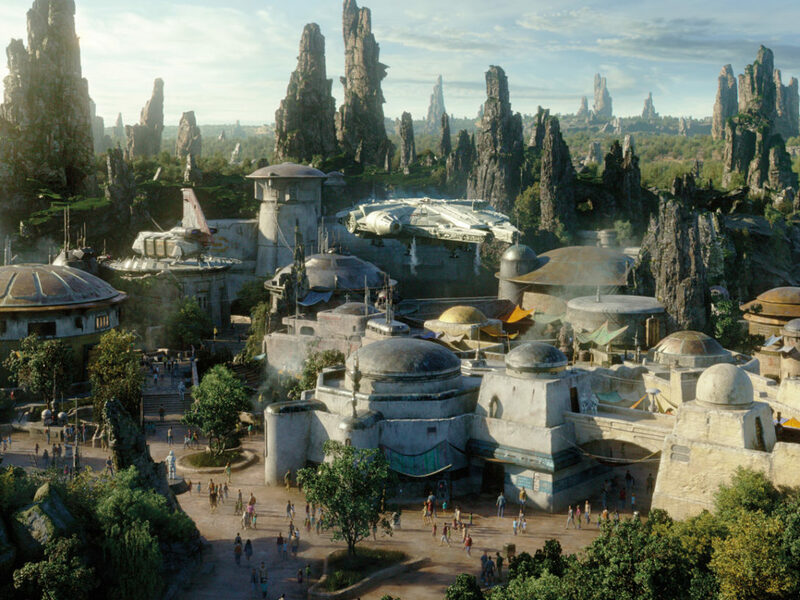 StarWars.com: What do you think fans, young and old, will get out of the book? Samantha Holland: This book has something in it for everyone. The stickers are great for kids, of course. But this book is packed with so much information about so many different elements from the film. It really is an encyclopedia. We really wanted to create something that echoed the gritty, more realistic tone of the film, while still bringing the fun of Star Wars into the mix. It’s a great companion book for any fan excited to see the new film and who want to learn more about the characters they just saw. And…you can put the stickers on all the things! 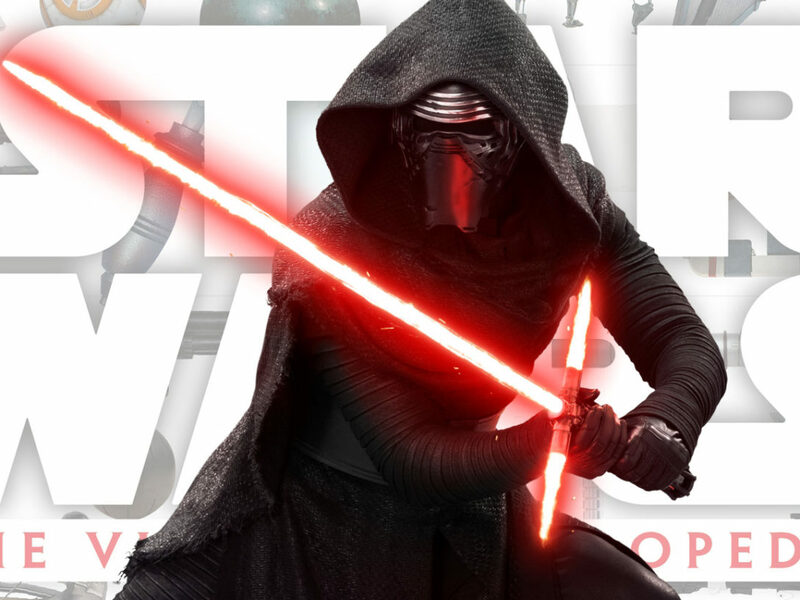 StarWars.com: Without spoiling anything, please tell me there’s a sticker of the Death Star plans. Samantha Holland: Haha, no spoilers. Sorry. I think you’ll be happy with the book, though. I love all the new alien stickers. I think the Moroff sticker is my favorite! What I’m most excited about, though, is page 30. I can’t tell you why but it’s really cool! Check it out on December 16!